Drones are becoming more common in certain commercial segments. Look at any Realtor site and you will see aerial photography of listed properties. Insurance companies are finding it safer, faster and more cost effective to use drones to do roof inspections after storms. Construction companies routinely use drones to create maps of construction sites and track progress. But for the average person, drones still have the reputation of being nothing more than expensive toys. It's not an entirely undeserved reputation, but there are some very practical uses for drones that can help you feel a bit better about your investment. 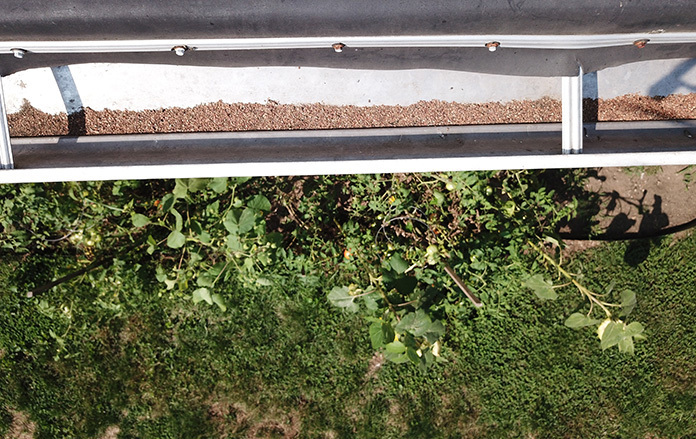 The only thing worse than cleaning leaves and other debris out of your gutters is dragging the ladder out of the garage, climbing it, and discovering that your gutters don't need cleaned. It's so much easier to put my Mavic Pro up and take a quick look at the condition of the gutters. A couple of months ago I woke up in the middle of the night and heard a noise coming from our living room. I got up to investigate and discovered a raccoon had somehow gotten into the house and was helping itself to a bag of birdseed that was sitting by the front door. After an hour of chasing it through three rooms of the house, I finally convinced it to go out the front door. My wife and I then spent another three hours cleaning up the mess it had made. Since I initially saw the raccoon sitting in our fireplace, I suspected it had come down the chimney. The fireplace is very old and unsafe to use, so several years ago I covered the opening at the top to prevent birds from flying down. I needed to see what had happened to my cap. Perfect job for a drone. I put my Mavic Air up and discovered the racoon had peeled back the roofing membrane and pulled out the material I had wedged into the opening. 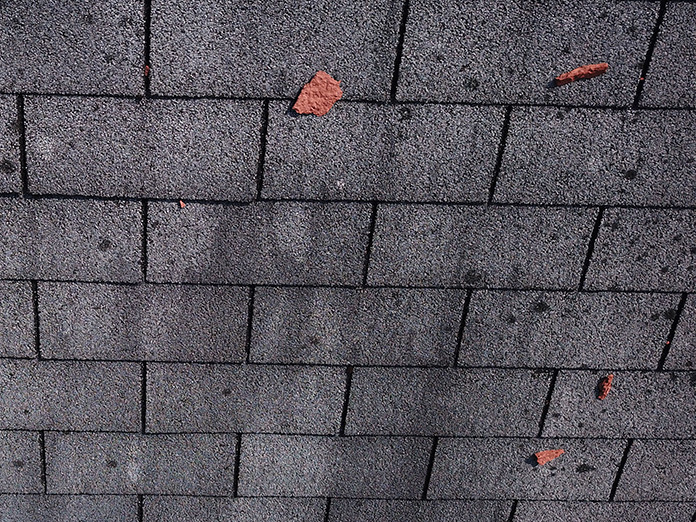 I still had to get on the roof to fix the problem, but at least I knew what I was dealing with before I got up there. 3. What's that on the roof? My neighbor noticed something on the roof of his house and was curious as to what it was. It's a two-story house and you really couldn't get a very good view. 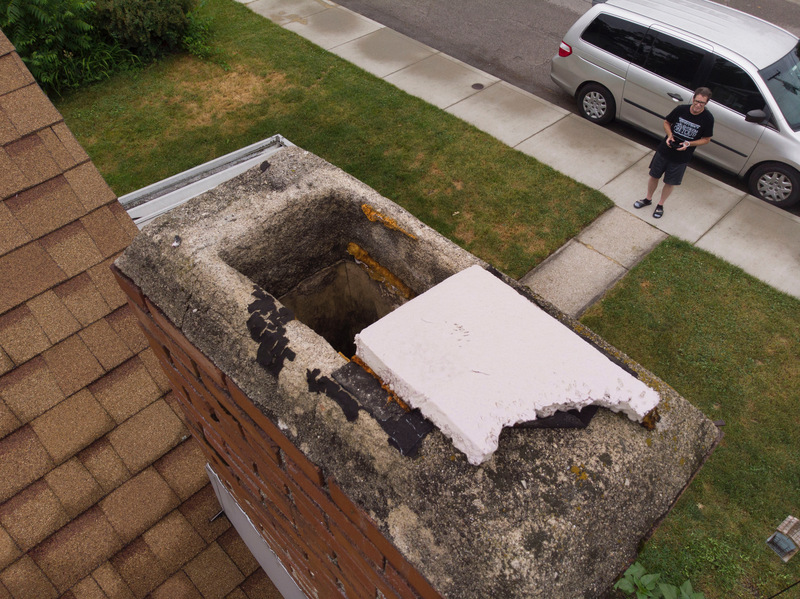 I put up my drone and discovered his chimney was crumbling and there were pieces of brick all over the roof. 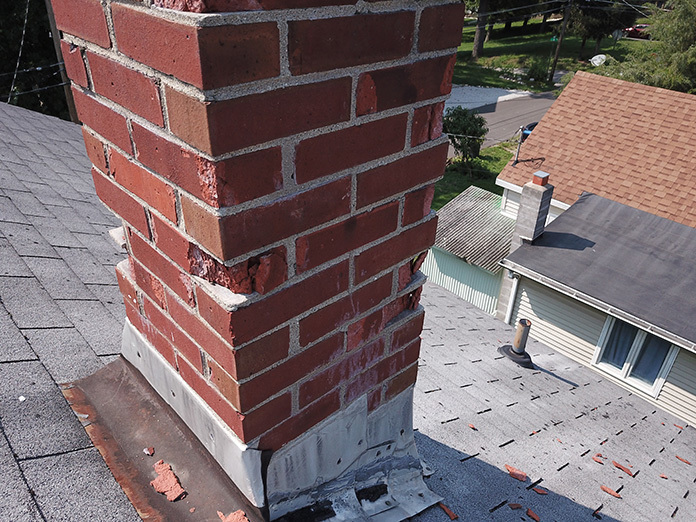 A friend had lightning strike their chimney during a thunderstorm this past summer. 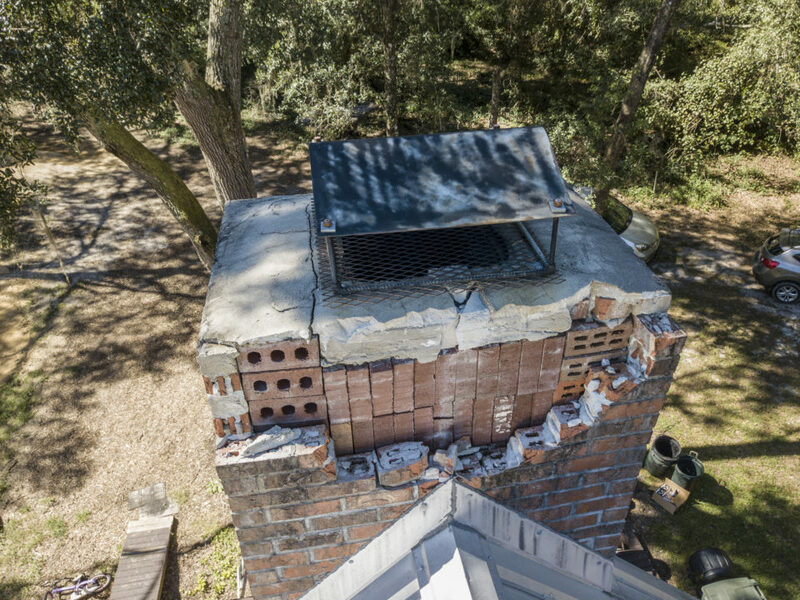 He knew the chimney had been damaged because there were a number of bricks in his yard. But he didn't have a ladder tall enough to get up on the roof to see exactly how bad the damage was. 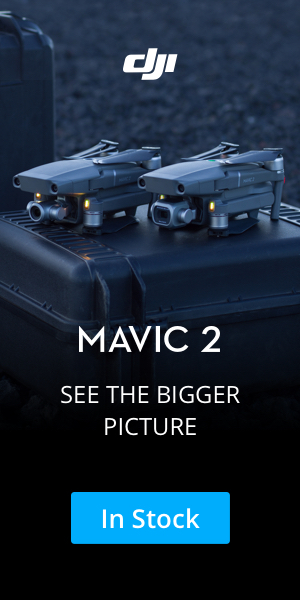 A quick drone flight answered his questions and gave him some detailed pictures.